I realized something the other day when I holed myself up in the bedroom to work while my husband was on baby duty. My epiphany really put a lot of thoughts and ideas in a few proper boxes. I’ve been known to get jealous a time or two watching my children play with their dad because they just have so much fun. Laughing and squealing. I even heard of a research study that showed children’s heartbeats speed up when they see their father. Speed up because of the anticipation of fun and excitement that is sure to come. Well. Doesn’t that make me happy I’m the one who makes my daughter clean up her toys, sit like a lady at the table, and go into time out? Wow. Being a mother rocks. Okay, I jest. No, actually I’m serious. Being a mother does rock. Here’s what happened. I was working and from the other room could hear our 20 month old squealing and laughing and having a great time with her dad. I could tell she was having fun because the decibel of her voice and squeals kept growing. Then, oddly enough, I noticed that she kept getting frustrated too. For no reason, I can tell the frustrated-for-no-reason noise from the others, she was getting annoyed. Then in another moment she’d be happy. Then the next moment she’d yell. She was hyper and having fun with her dad, but at the same time I could tell that level of fun couldn’t last much longer without major tears. Here’s what it made me think. 1) Calm and consistency make for contentedness. We all love to have fun and enjoy ourselves. Doing something new, going somewhere special and feeling excited are novel because they don’t happen all the time. That’s why it’s so much fun to play with daddy, because it usually doesn’t happen all day long. While she has more “fun” play times with her father, she is still perfectly content and peaceful when she’s in my care. By the end of their play session (which had lasted quite a while by this point) I heard her calling for me. I was happy she even thought of me while she was busy playing, but I realized, she wants to calm down and I help calm her. We’ve all seen those kids who can sit at a table, color, or sit on the floor and pay attention to a story without yelling, fidgeting or disrupting. That’s how my girl is (can’t say that yet about my 7 month old). And, you may have noticed, that the kids who can do that are calmer, more peaceful and seem generally more content than the ones who are racing around and resisting any activity that would require them to be still. There must be a balance between crazy fun and calm order. It’s why having both motherly and fatherly influences together are ideal. 2) Kids often call out to their mamas for comfort. I sometimes feel like the mean parent because I’m the one who is around often enough to carry out the discipline. You may have read my thoughts on postponing discipline until dad gets home in my article 7 Words A Mother must Never Say. That is why, when she’s teething, hurt, tired or upset she calls to me. If she has a bad dream or feels distressed, she calls for me. Not because her dad can’t comfort her, and in fact, he often tries to be the one who gets to comfort her. He loves comfort duty. But, you don’t spend all day long mostly every day taking care of your children without it registering in their little minds, hey, mommy is concerned about my well-being. Sometimes, when she falls and it isn’t anything serious and I can tell she’s just kinda faking, but comes to me for a hug – boy, I ham it up. I know I should just say “oh, you’re okay, sweetie, up you go.” Most times I do. But, sometimes, I pretend along with her that it is serious just so I can comfort her. What a joyous job we mothers have. 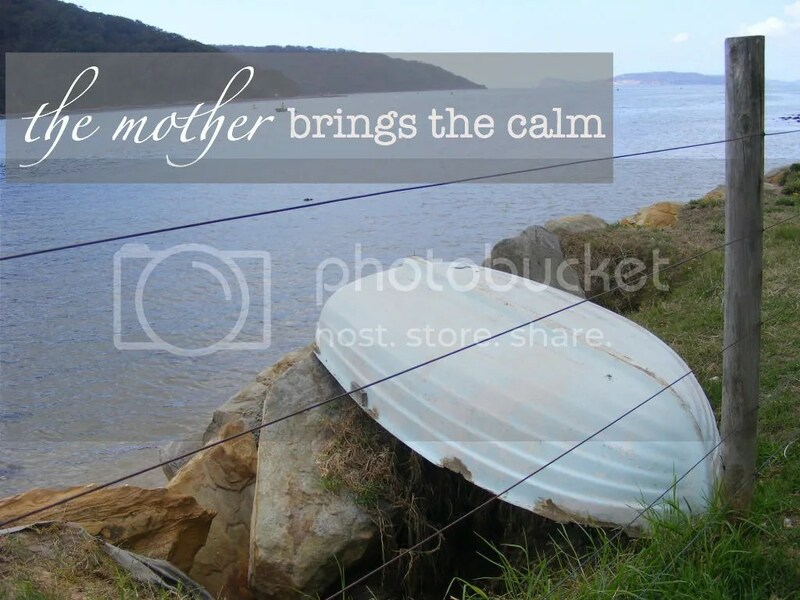 3) A mother creates the house atmosphere, particularly if she stays-at-home. While there are a multitude of men successful in interior design, it’s usually the woman who creates the atmosphere. Designer couches and tables don’t make a home more homey than couches from the side of the road store. It’s the emotional atmosphere along with the physical comfort of a home that contribute to the feel. I want our house to be comfortable and fun. I am orderly and tidy and clean each day, but I am sure not to make anything too precious at this stage. One day, when they aren’t liable to steal my diet coke cans and pour them on the couch, then I’ll think about investing in some higher quality things. I try to make our home warm, inviting, fresh, clean and interesting. With my children I try to be full of smiles, praise, strength and consistency so they feel comfortable, secure and loved. I’ve found that men normally just make themselves at home in the atmosphere the wife creates. Or, if it is not a nice atmosphere, men may tend to avoid it by working or leaving for their hobby. If the home atmosphere is totally child focused men can also tend to be jealous. It is – tough though it might seem – usually the woman’s job to make everyone feel at home, welcome and loved. My husband played with our little one until she grew too fussy for it to be fun and then, she came to me to calm down. He was happy they had a great time, I was happy she wanted me. 4) It’s the peaceful and calm consistency of the home that sets the stage for the big fun times. I think a day full of hyper fun would lend to out of control children. Think about when you’re on vacation and each day is packed to the brim with fun new things. Of course, it’s great. But, if it were like that everyday you’d get sick of it. I can’t count the number of times I’ve said and heard “I’m ready to get back into routine.” I believe, if you’ve read my thoughts on Routine + Scheduling, that having a calm and peaceful house gives a good foundation for the big times of fun. If children are usually well-behaved and calm at home (and by calm I don’t mean sitting like a zombie doing nothing, I simply mean not jumping of the walls destroying things and talking at the top of their lungs) then they will be able to handle fun and excitement without going nuts. And, in their fun and excitement, they’ll still listen to you and be able to think clearly. Hyperactive children bounce from one thing to the next with little time to think about what they’re doing and whether it’s actually a good idea or not. It might be cute in a 2-year-old but when the 2-year-old grows up and is used to chaotic days filled with whatever type of mischief they can find, they will become an unruly 5-year-old and a downright insufferable 10-year-old. Remember, people, they don’t just grow out of it. So, the times with dad are great. I love when they are able to have fun and laugh and I can tell they’re happy. I also love having them with me. Whoever said “it takes a village to raise a child” was probably right. I’m just happy that, at the end of the day, my babies pick me over the village. If my daughter is running around having fun and comes up to hug me for no reason, it makes me think, dadgum, I gotta be doing something right. Note: This article is not intended in any way to diminish a father’s role or his importance. Man and woman together make a baby and man and woman together bring many things of value to the raising up of a child. Categories: parenting, routine & scheduling | Tags: development, motherhood, parenting, parenting advice, routine, strategy | Permalink. Around here we look at practical child-rearing and child-bearing issues. 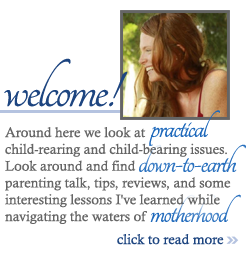 Look around and find down-to-earth parenting talk, tips, reviews, and some interesting lessons I've learned while navigating the waters of motherhood. I can relate. Also think that some of the fun with daddy is also his way of releasing some of his tenseness from his studies and resonsibilities. both of ya’ll are handling parenting far from home great. just wait still the grandparents and other relatives arrive! We can’t wait! I know we’ll be excited to see them play with their family!